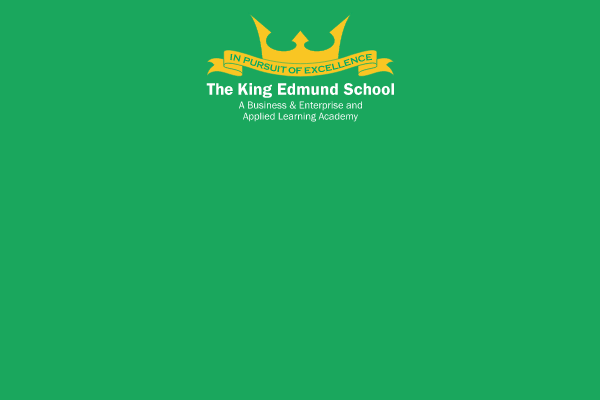 The King Edmund School is a co-educational, comprehensive secondary school for students aged 11-18 in the town of Rochford in Essex. My name is Tyler and I have been at KES since Year 7. My role as Head Boy is to help the students work together across all the year groups and to oversee the school council which aims to make the school a better place for everyone. I personally have thoroughly enjoyed my time at KES so far and look forward to what I can achieve in my role as Head Boy. My name's Amber and I am Head Girl. I wanted to be a part of the Student Leadership Team because it means I have a say in some of the decisions made in school and that I could give the students a voice. It is challenging me to step outside of my comfort zone and become more confident. In this role I want to ensure that students stay committed to sports all the way from Year 7 to Year 13. I applied for a role within the Student Leadership Team because I believe that a school is not only about the learning, it is about the community and environment too. I truly enjoy speaking to people and this role has given me the opportunity to improve my communication skills and be part of a great team. I am looking forward to providing help wherever it is required and finding ways to make our student experience as enjoyable as possible. My name is Adam and I am the Deputy Head Boy at KES. I am currently studying A Level Maths, Economics and Law. I applied for this role because I would like to be more involved in the school and be someone who people can go to if they seek help. I would also like to be a bridge between students and teachers and further improve the communication between the two. I enjoy speaking to large groups of people as I am very confident and have taken part in many of the productions and shows that KES have put on. I want to be able to do great things in life and I see becoming a Senior House Captain at KES as a stepping stone on that journey. I am the first person in my family to occupy a role like this at school and I want to make them proud. Hopefully I can be a voice for students and I would like to encourage all students to become fit and healthy through exercise and improved diet. I regularly go to the gym and take part in athletics and shot putt and I believe that this helps me to achieve in all areas of my life. I have always been quite shy and reserved, which is why I wanted to be a Senior House Captain; I wanted the opportunity to find my own voice and prove to myself that I can do something to overcome my shyness. I hope that in this role I can be an inspiration to others and provide students, who feel shy about speaking out, someone like them to talk to. In my role as Senior House Captain, I would like to encourage a community feel where students help each other and work together to do good, inside and outside of school. My favourite subjects are dance and drama which give me confidence and will allow me to add a creative edge to any events that we organise. I would like to make a positive difference and leave school feeling that I helped to make it a better place. My aim is to one day run my own business as an architect. Becoming a Senior House Captain is providing me with experience of leadership and team working. Part of the role is also about organising events and activities, all of which will help me in the future. I want to encourage students to believe they can achieve anything they put their mind to. I want to be a role model to show students that it doesn't matter what your ethnicity, gender, age, or even hair colour is, you can achieve great things. I have been a House Captain since I was in Year 7 and felt that the experience I have gained would make me a good Senior House Captain in Year 11. Musical theatre is my passion and this helps be to be a confident and chatty person. I believe this helps me to be a good spokesperson for students and articulate their views effectively. I enjoy being a leader and I would like to get the school more involved in local issues in the community. I have been the House Captain for Romans for the past few years and so it felt natural for me to apply to become Senior House Captain. I enjoy being a positive role model, especially to my younger brother as he looks up to me. I would like to really achieve something in this role so that I can leave a legacy and be part of KES history. I am one of the top 50 rugby players in Essex and one of the top three in my position. I would like to use my experience to help students work together as a team and use exercise to help them be fit and healthy. Maths and PE are my favourite subjects at school and I play lots of sport outside of school too. I like KES because the teachers are really enthusiastic and the lessons are fun. My aspiration is to one day become a dentist. KES News is the school newsletter for parents that is produced eight times a year. There are two editions per term, distributed to parents via email at the end of every half-term.